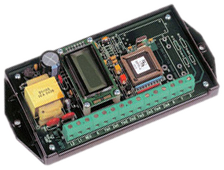 The MPR-4 metering pulse register is designed to provide a totalized numerical value from four pulse inputs. Each input contains its own non-volatile counter, which is eight digits wide (99,999,999) which allows 100 million counts to be counted on each input before roll-over. The Pulse Value Register (PVR) displays the totalized value of all accumulated input pulses multiplied by each input’s individual pulse value. The MPR-4 has four 3-wire (K, Y & Z) inputs. The ten digit stored value along with the multiplier for each input may be viewed on a LCD display at any time without disturbing the operation of the unit. Typical applications include sub-metering, check metering and customer-side-of-the-meter applications where a readout of totalized energy from multiple meters is desired. The input pulse signal from the sending device to the MPR-4 is by four sets of “Y” & “Z” leads with a common “K” lead. The MPR-4 provides a sense voltage of +13 VDC to the four sending source contacts, normally a group of meters. Each of the MPR-4’s four registers (each representing an input) is allowed to have a different multiplier value within the range of 0000 to 9999. A decimal point may be placed in any column as long as it is placed in all columns in a similar manner (ie. if the multiplier for input #1 is .2345 then each of the other input multiplier values will be of the form .XXXX). The input multiplier values may be field set without the use of any external programming devices. A LCD display contained within the unit displays the status of each of the inputs as a “Y” or “Z” when not being used in the setting of the pulse multiplier values or reading of the registers. There is an overall reset command that allows the resetting of all the counters and accrued value register at one time with one command. Within the software all inputs are first checked for the correct sequence and then a minimal time of contact closure duration to assure a maximum noise rejection. 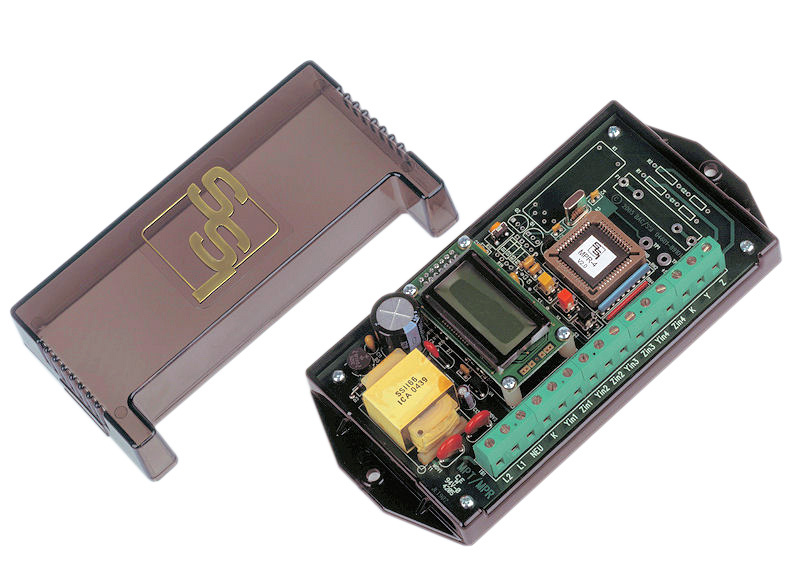 All register counts are stored in EEPROM non-volatile memory which is nominally rated to store data for 10 years with no power applied to the MPR-4. All component parts of the MPR-4, which have power applied to them with the exception of the input/output terminal strip, are enclosed in a polycarbonate cover for maximum protection. The mounting base plate is also made of polycarbonate and offers excellent electrical insulation.